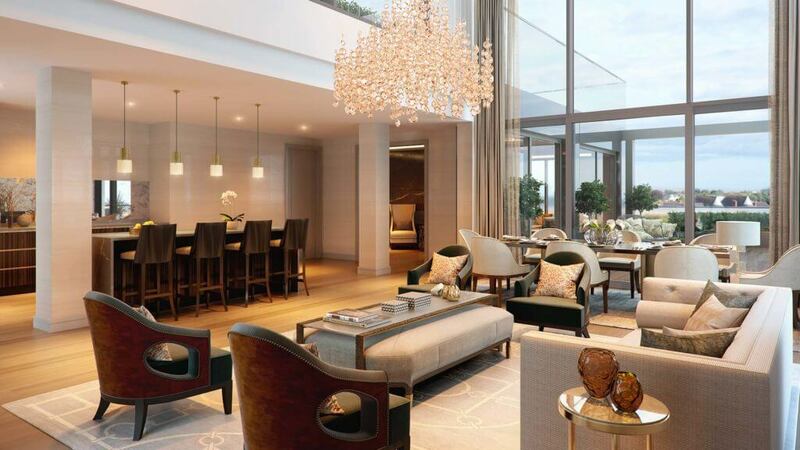 There’s a buzz about Lansdowne Place, the luxury development built on the 6.8-acre site of the Berkeley Court and Jurys hotels where, 12 years ago, bankrupt developer Seán Dunne had proposed building a 37-storey tower. From late last year, architects, designers and anyone with deep pockets clamoured to get across the threshold to scrutinise the Joe O’Reilly-led Chartered Land scheme, designed by O’Mahony Pike Architects, which comprises three pavilion buildings and a long L-shaped structure of four-adjoining buildings that will run almost the length of the site. 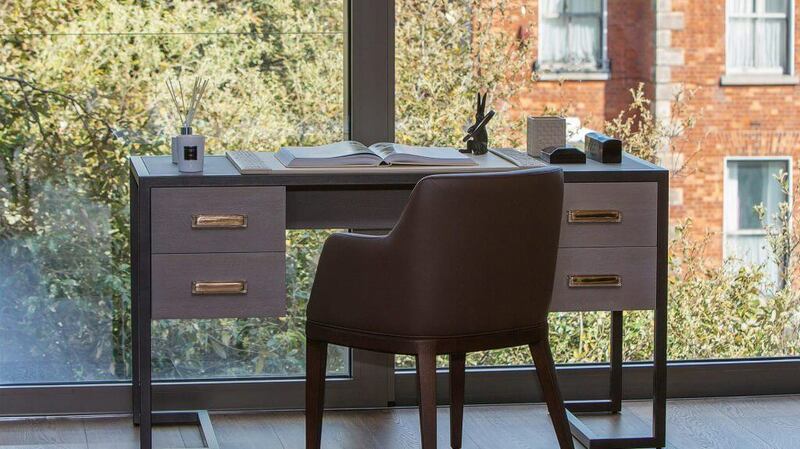 They all wanted to see if its claims to offer a quality of craftsmanship and superior finish unrivalled in Ireland really will match the very best of international standards. 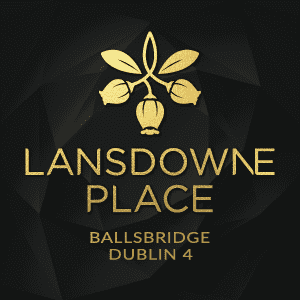 In this, phase two of Lansdowne Place, 23 properties are being brought to market at The Blake through joint agents SherryFitzGerald and Savills. 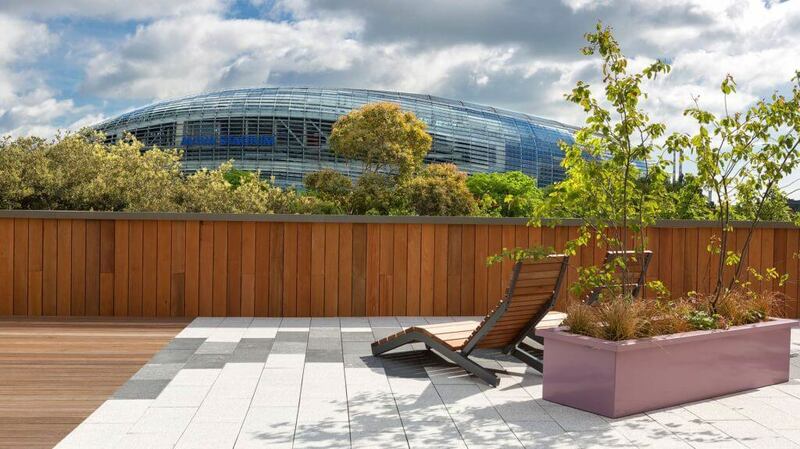 It includes three penthouses, the smallest of which is a sizeable two-bed plus study unit of 141sq m/1,528sq ft with another 42sq m/456sq ft of outside terrace space priced at €2.15million. 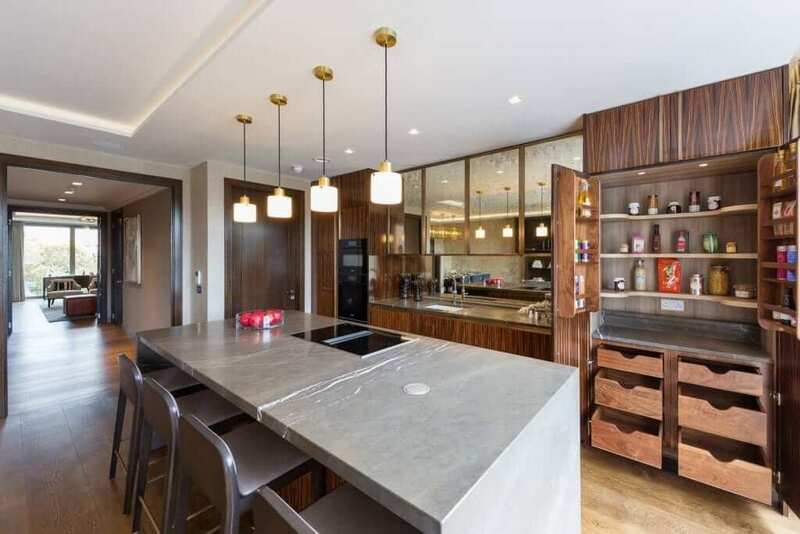 The second is a tri-aspect unit, three bedrooms plus study, of 222sq m/2394sq ft in size, with a massive 108sq m/1,165 sq ft of outside terrace space. This is seeking €3.65 million. The rooftop penthouse is the most expensive unit in this phase. 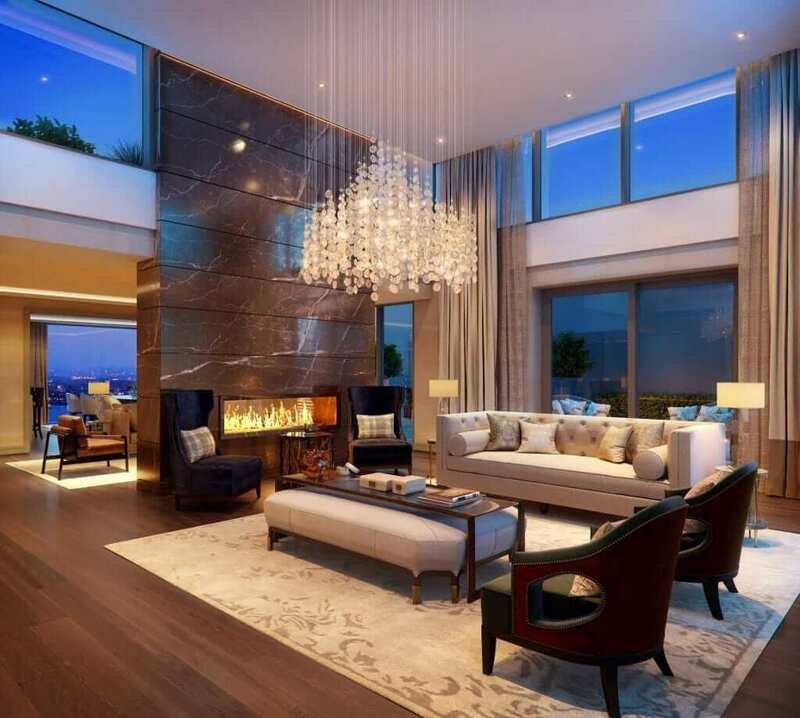 The three-bed superspace measures 350sq m/3,772sq ft in size and has additional outside space of 177sq m/1,914sq ft including a private roof-top terrace on the eighth floor. It is seeking €6.5 million. 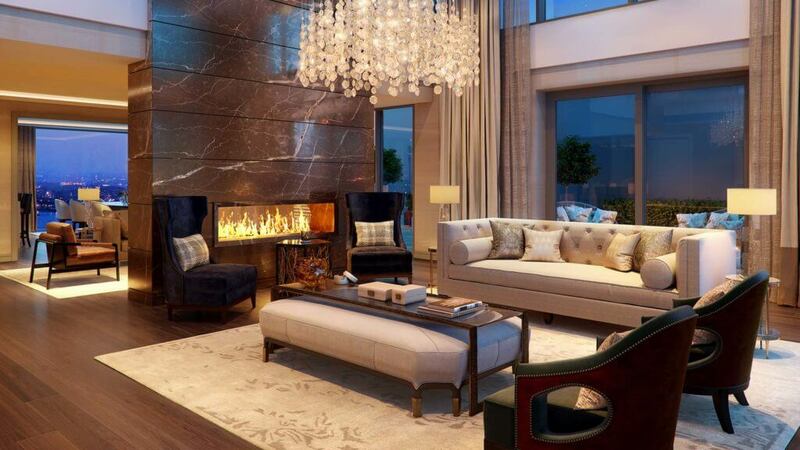 Earlier this year Stephen Vernon of Green Property purchased another of the super-penthouses for a similar sum. Also in this phase are three one-bed units of 65sq m/703sq ft priced from €825,000. There are 11 two-bed units. These range in size from 132sq m/1,428sq ft to 134sq m/1,661 sq ft. Asking prices range from €1.5 million to €1.8 million. Of the 23 apartments, 18 units have what the developers are calling sunrooms, an interesting extra slice of space adjacent to Juliet-balconied windows that can be closed off from the rest of the open-plan living area by fold-back glass doors. In the large two-beds this amounts to another 19sq m/207sq ft of space. There are four two-beds plus study, with asking prices of between €1.95 million and €2.1 million. There are two three-bed duplex units. Respectively these measure 204sq m/2,206sq feet and 213sq m/2,302sq ft and are seeking €1.77 million and €1.86 million apiece. The sense of scale throughout is impressive. There is well-thought out storage in all of the rooms and halls as well as further storage in the garages for traders down worried about where to store a lifetimes’s belongings. Ceiling heights are high, large windows stream light in and there are coffered ceilings and a contemporary take on cornicing in bedrooms . 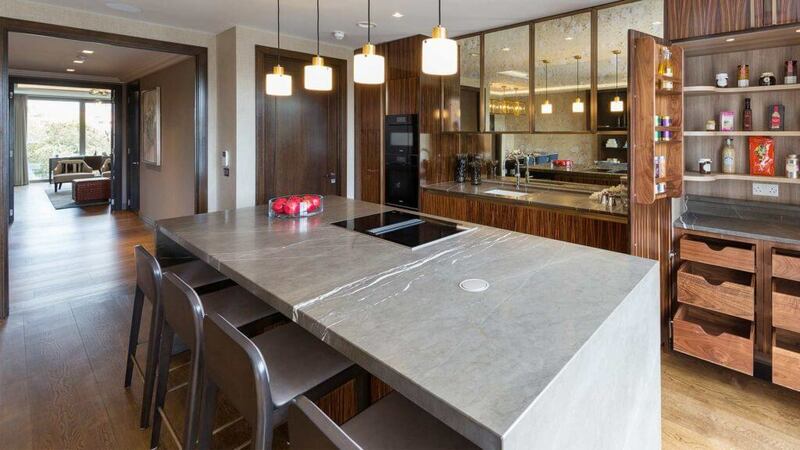 The properties include kitchens with stone counters by O’Connor’s of Drumleck; Gerbrit and Dornbracht products in the bathrooms including monsoon showers as well as bespoke vanity units and stone tiling sourced direct from Portuguese and Italian quarries by the London design team. On the balconies there is hammered granite underfoot. The five-star hotel feel extends to the facilities which will include a residents’ lounge, library, meeting room, cinema room and hospitality spaces, while a lower floor will comprise a gym, sauna, steam room and treatment rooms. The concierge service is covered in an annual charge of about €5,000. The scheme, which when complete will comprise 217 units, launched quietly in January with the now sold-out Templeton. In June, units at The Barrington came to the market. To date 40 units have been sold amounting to about €65 million worth of property. In June one-bed apartments of 72sq m/782sq ft in The Barrington sold for between €825,000 and €850,000; asking prices for two-bed units of 88sq m/954sq ft – 153sq m/1,647sq ft ranged from €900,000 to €1.65 million and three-bed units of 177sq m/1,910sq ft, ranged in price from €1.9 million to €2.25million. 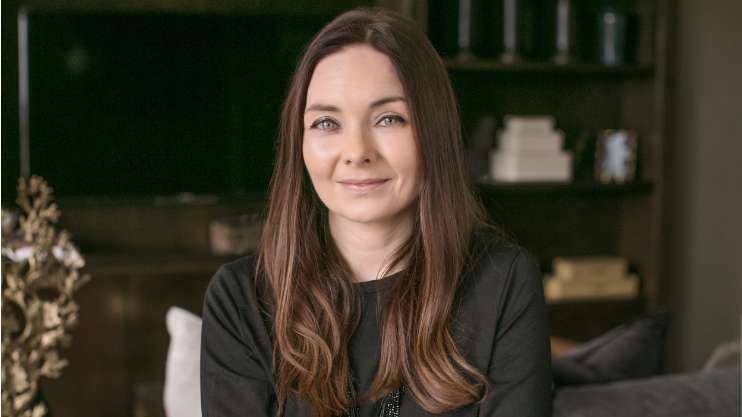 All have been sold off-plans with a swish marketing suite constructed to show off the level of finish and décor options from London-based interior designers Goddard Littlefair. The company is known for its five-star fit-out and has recently been rewarded for its work, by winning industry awards including Interior Designer of the Year at the 2017 Build Awards. This decision to go across the pond sees the re-emergence of a trend that was last seen in the shiny days of the Celtic Tiger. 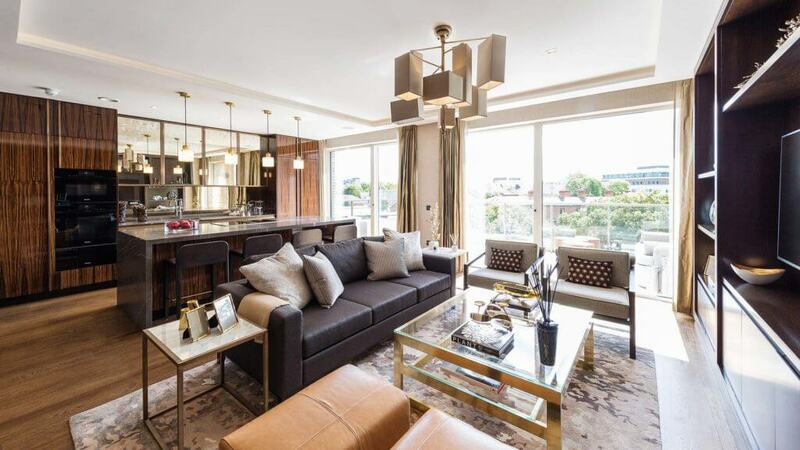 Edward Square, another D4 luxury scheme on nearby Bloomfield Avenue, is following suit and being fitted out by a London-based firm, Taylor Howes, another global developer favourite. 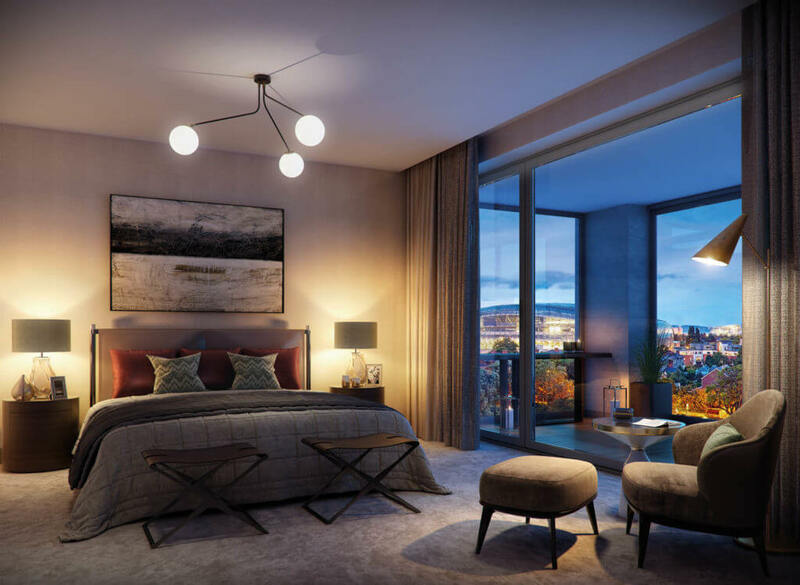 Launching next month, its two-bed units are expected to start from €1 million.